Born in Vancouver, Washington to parents Bobby & Dorothy Davis, Terry grew up in a very musical environment along with his sister, Marla influenced by his Dadâ€™s love of Jazz and Momâ€™s love of Gospel music. While yet young, Terry began singing at New Hope Missionary Baptist Church in Portland, Oregon where he started the course for his musical journey. Being blessed with the gift to hear & teach harmony at a young age, he began directing New Hopeâ€™s Angel Choir for a period, and then in 1978, God anointed and added to Terry the gift to play the piano by ear (without formal training). Now able to play, Terry worked with the choirs of New Hope and other community/workshop choirs in the Portland-Vancouver area. GMWA Men of Promise (2002), and the Northwest Community Gospel Chorus for the Oregon Symphonyâ€™s â€œGospel Christmasâ€�. Terryâ€™s also been privileged to work alongside some well-known artists in the Gospel industry such as Thomas Whitfield, Jeffrey LaValley, Rev. Milton Biggham, Rickey Grundy, David Curry, Helen Stephens, Dr. Margaret Douroux, the late Dr. Charles Fold, and LaShun Pace. Terry first acknowledges the Lord for the many opportunities to share his musical gifts; family and friends for encouragement and prayers, and also his musical mentors Thomas Whitfield and Jeffrey LaValley for inspring him as a songwriterand musician. Terry also draws musical influences from artists Stevie Wonder, Alex Bugnon, Joe Sample, and Rodney Franklin. In 2001, Terry made the move eastward to Columbus, Ohio to serve as Second Baptist Churchâ€™s Minister of Music. Later that year, he met his soulmate Jennifer Hammond, and the two became one in June 2003. Terry continues his GMWA ties as a member of the Columbus Chapter of the Gospel Music Workshop of America, and has been featured as a instructor for the Columbus Childrenâ€™s Music Ministry Workers Conference, featured songwriter for the New Salem Baptist Church live recording â€œWe Winâ€� (2001), and Columbus Citywide Mass Choir concert in December 2004. Currently, Terry serves as Minister of Music for the Worship Center of Central Ohio (Apostle David S. Carter, Pastor), and Music Director for Ohio Wesleyan Universityâ€™s Gospel Lyres. He is also his starting his music business, Praise Place Music, and recently released his debut CD â€œA Songwriterâ€™s Dreamâ€� in April 2007. Terryâ€™s desire is to see God take his music all over the US and the world to encourage believers, witness to the lost, and most of all, bring God glory, praise, and honor for giving to him the gift of music. "A Songwriter's Dream" Reviewed by RadioIndy.com! 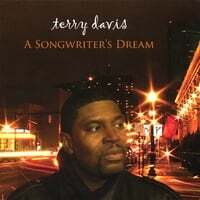 Terry Davis does his best when he mixes contemporary gospel with Funk on his album "A Songwriter's Dream." This album stays positive and uplifting as Davis infuses contemporary gospel with soul, R&B, Jazz, and Funk. Many songs, like “Can't Forget The Blessings” and “Hold to His Hand (AKA Hold To God’s Unchanging Hand)” features a full gospel choir, giving the whole album an accessible and encouraging feel. While Davis is flawless throughout the album, he shows his vocal prowess with the song “You Keep Giving Again” as his voice seeps gently into your soul with smooth and heartfelt tenderness. "A Songwriter's Dream" is a great contemporary album of spiritual gospel music and would be a wonderful addition to your inspirational music collection.